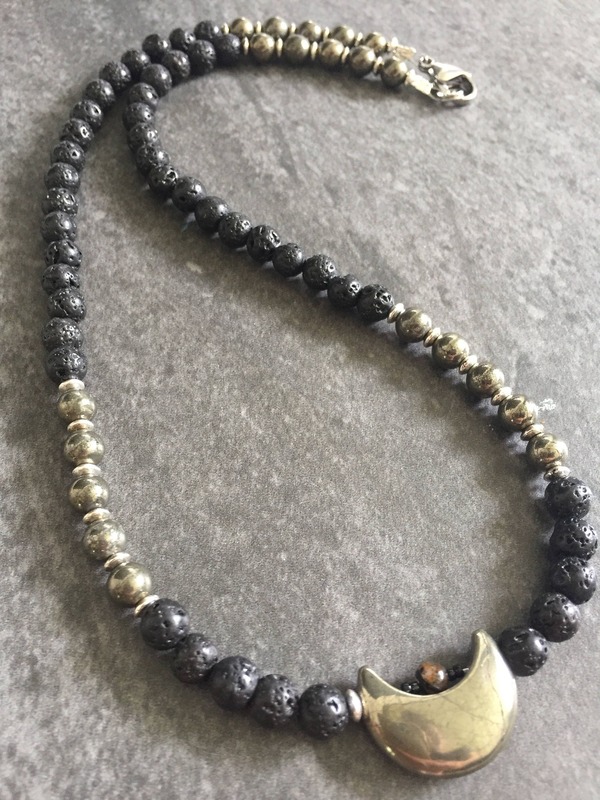 This necklace features a beautiful pyrite moon pendant holding a tiny quartz with tourmaline bead inside, pyrite, and lava stone beads....a mix of metal and rock for your wild side! Add your favourite essential oils to the black lava stones and enjoy the scent all day! Need a different length? Just ask!